Maohl's GIFT is on standby for an uncertain time, but will surely return with fresh ideas when the time is ripe. Right now I'm working for my new band SOFT KILL OPTION, which I can also highly recommend! "Maohl's GIFT present themselves even further developed than on their already quite satisfying debut CD. It's all very exciting and unpredictable what Maohl is presenting us here and literally a musical gift. The tunes may move to a complete different direction at every time, and so I recommend to listen to this band live more than once, because when you listen to the CD for the second or third time, you may still discover some secrets which you missed at the first time." "The tunes are distinct, inventive, ambitious and always played soulfully. In spite of the complex metres and the involved melodies they impress with an obvious joy to play which the quartet expresses at every moment. The band fulfills the self-targeted goal of individuallity brilliantly." "Fans of an energetic and unpredictable edgy jazz will appreciate this album as a gift for their ears." "...IN SEARCH OF THE RED THREAD affects you in its own way. You know that it's jazz what you are listening to, but it does't sound like typical jazz. 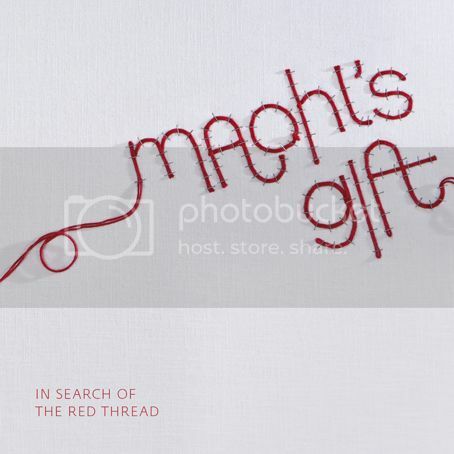 Maohl's GIFT just found their own musical voice, which implies everything that is appreciated by the lovers of this genre." Our new album IN SEARCH OF THE RED THREAD has been released and can be ordered worldwide, either at our shop, our label or as mp3-download on amazon, itunes or any other of those countless music distributors.